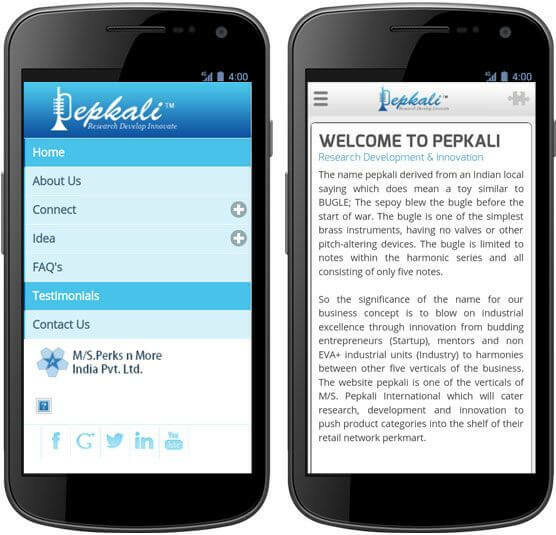 Pepkali is a free business application for iOS, Windows and Android devices. It is developed on PhoneGap framework and can be downloaded from Google Play or App Store. The static application, owned by M/S.PERKS N MORE INDIA PVT LTD, serves as a space where budding entrepreneurs and innovators can share novel business ideas. Also, the app allows experts from various industries to connect with the company.